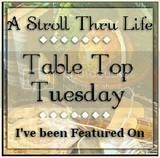 When I graduated from college, I was unsure of what I wanted to do next. I moved from New Hampshire to Boston, with no real plan in mind. I had an apartment with my friends and a waitressing job that would hold me over until I found a "real job"﻿. After working in real estate, I decided to apply to graduate school. I was at a complete crossroad. I didn't know if I should go for a degree in counseling or interior design. I chose counseling. 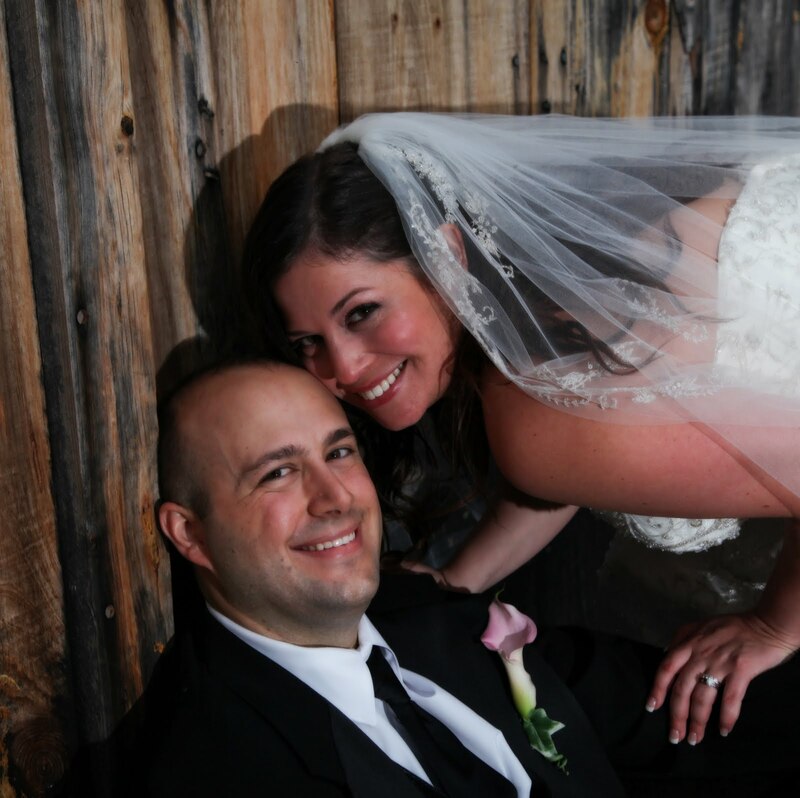 The reason why I am even telling this story is I never questioned my choice until I started planning my wedding. I forgot just how much I loved to use my creative side . I designed and planned much of my wedding by myself and it just came so naturally to me. I was also lucky to have a great family, great friends and a supportive finance (who actually stayed up one night until 4 am tying ribbons on our programs) who all helped me. 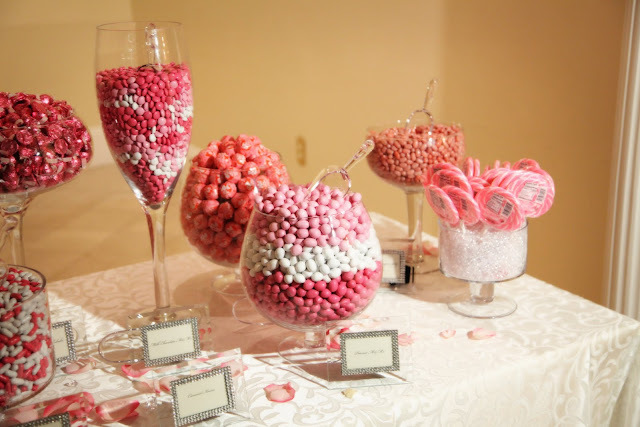 I wanted every aspect of the wedding to have some "bling". I wanted my invitations to have a rhinestone buckle. Most invitations with a buckle were more than I wanted to spend so I decided to design my own. I ordered my invitations from Wedding Paper Divas and embellished them using rhinestone buckles and ribbon. 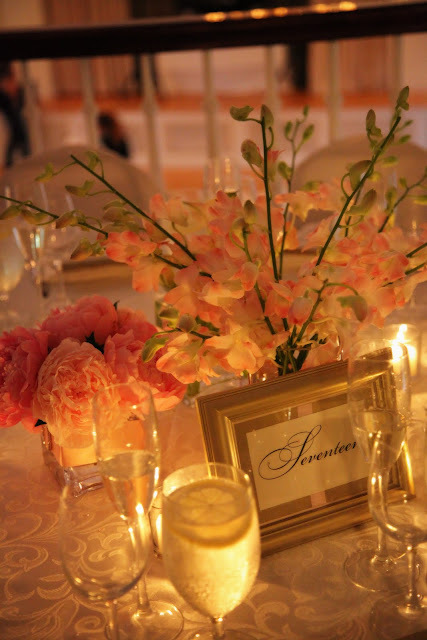 I designed a monogram, with the help of my sister-in-law, and made a tag that closed each invitation. 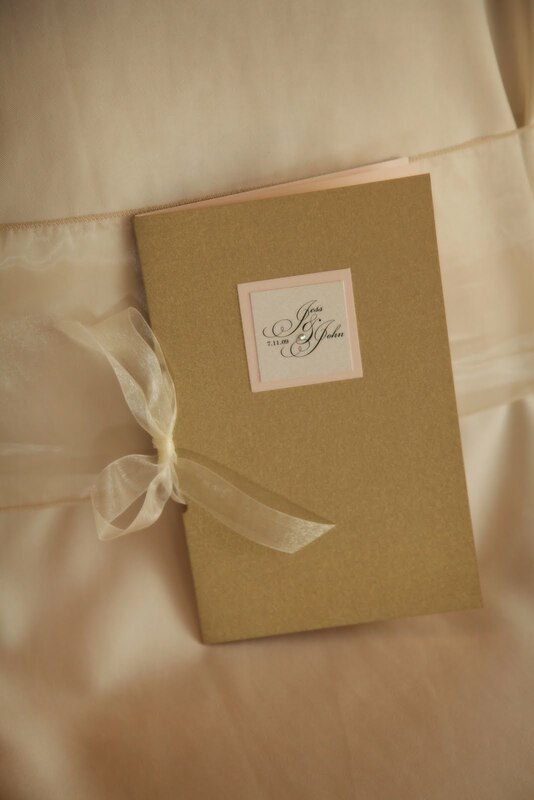 I also made my own programs using the same metallic card stock as my invitations. I embellished each program with my custom monogram and a rhinestone. I wanted to do something dramatic for my seating chart. 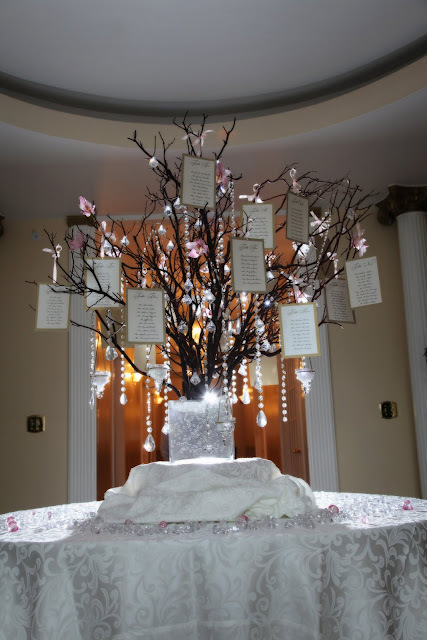 I made this manzanita tree using manzaita branches I purchased online and used Plaster of Paris to bond the branches together. 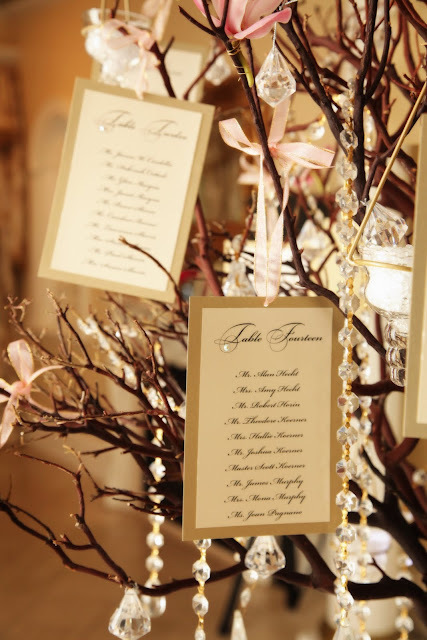 A seating card was made for each table and tied on the tree with pink and gold ribbon. Crystals were hung from the tree and orchids were wired on. I found hanging candle holders and filled each one with scatter crystals and a LED light. I continued the rhinestone buckle theme throughout the wedding. 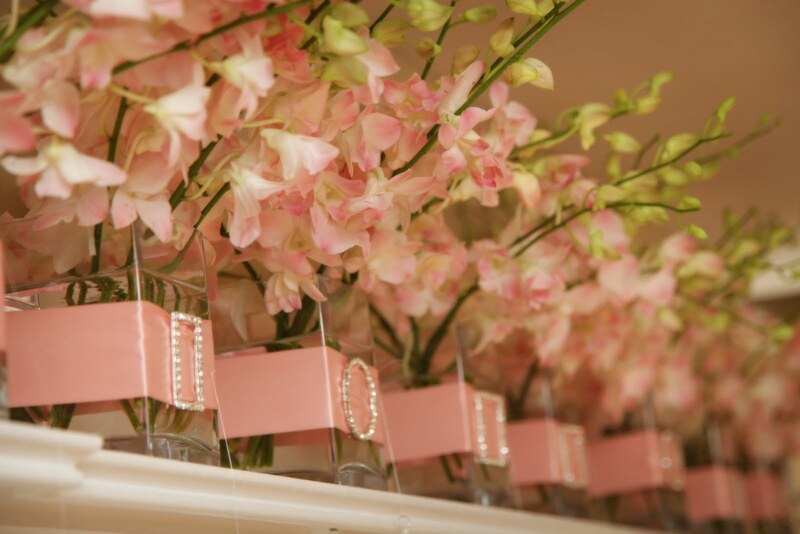 I used Wedding Flowers by Annette as my florist. 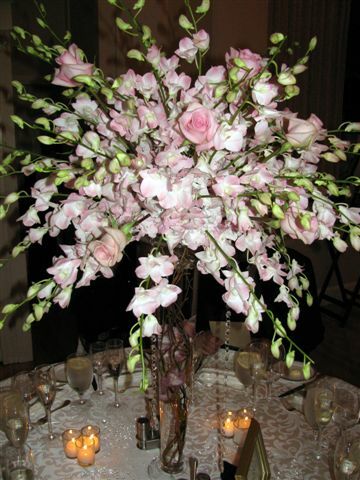 The higher centerpieces had orchids and curly willow filling the vases. 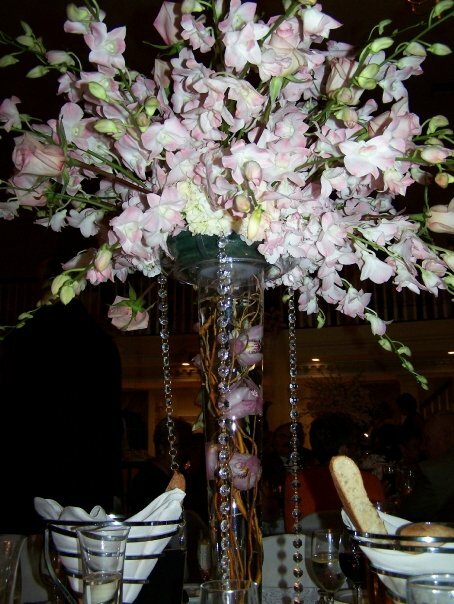 Crystal strands hung from each centerpiece. 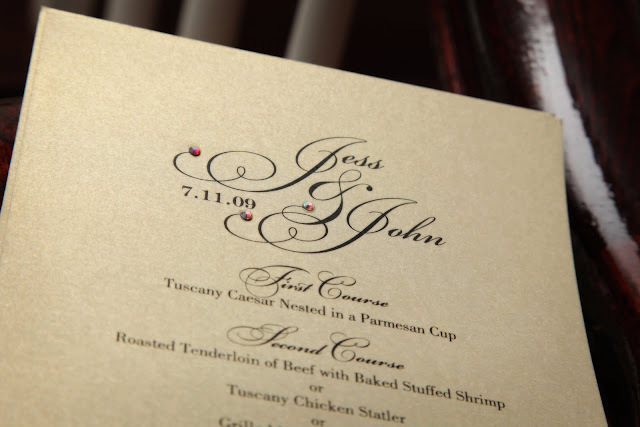 I made gold menu cards and embellished with crystals. 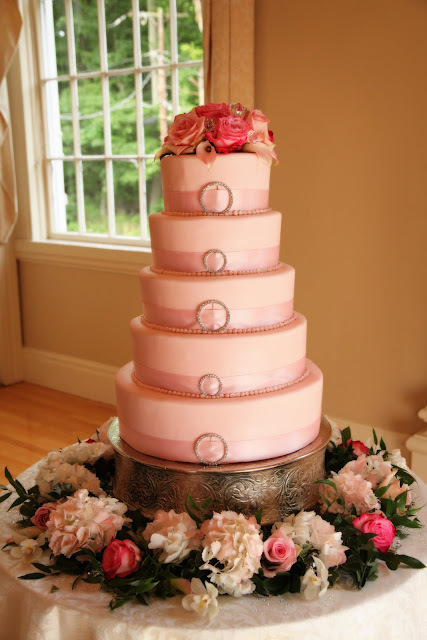 Caitrin Bourque from The Mixing Bowl in Haverhill, MA our this beautiful cake. 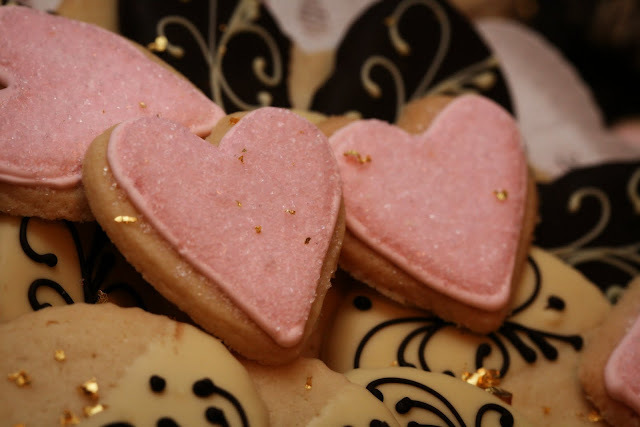 She also designed a delicious dessert bar with cookies, truffles, and pastry. 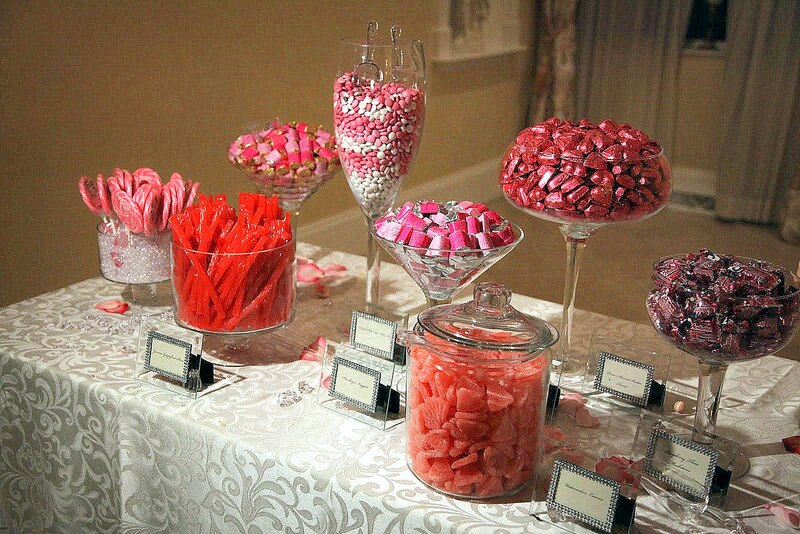 I designed a candy buffet that displayed all pink candies. 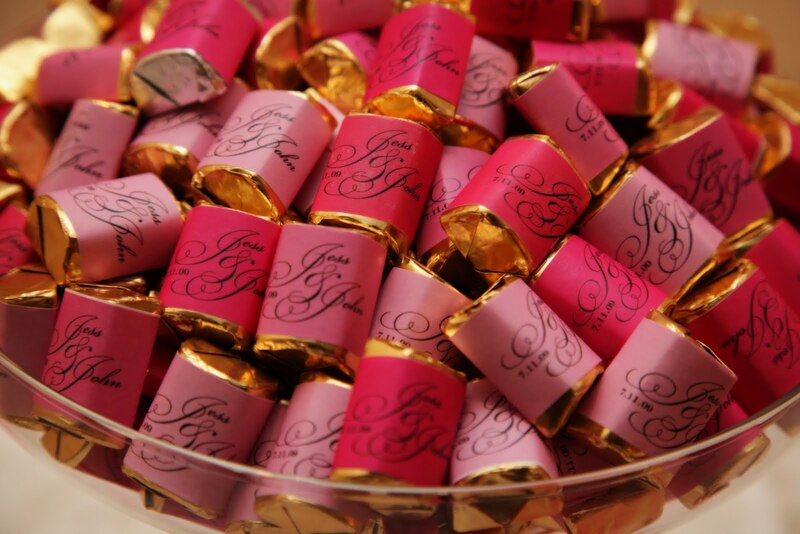 Each candy was labeled with a rhinestone adorned frame.